The great free guide for Workers Compensation bulletin is now available. I have received a few emails recently and have seen posts on LinkedIn about what information should be shared with employees on the Workers Comp system. 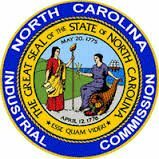 The following is a guide that is provided by the North Carolina Industrial Commission. This is a great publication that is updated every year. All states have the same type of publication. This bulletin is designed to give general information only. It is not a law book. Further information may be obtained by writing a letter to the Executive Secretary or Workers’ Compensation Information Specialists, North Carolina Industrial Commission, or by consulting with an attorney of your choice, which may be at your expense. If you need assistance locating an attorney in your community who is familiar with workers’ compensation law, you may contact the N.C. Bar Association’s nonprofit Lawyer Referral Service: http://www.ncbar.org/publicpro-bono/lawyer-referral-service.aspx. Just telephone toll free in North Carolina to (800) 662-7660—or dial (919) 677-8574 from out of state or from the Raleigh/Durham/Chapel Hill area—to obtain the name of an attorney willing to discuss your question for a nominal fee or no fee. Mention workers’ compensation when requesting a referral. When writing or calling the Commission about a specific case, always give the name of the injured employee, the I.C. file number for the claim or the employee’s Social Security Number, and, if available, the name of the employer and date of injury. Bulletins and forms may be obtained by visiting the N.C. Industrial Commission’s web site: http://www.ic.nc.gov/. See http://www.ic.nc.gov/ncic/pages/feesched.asp to view portions of the Commission’s Medical Fee Schedule online. To buy the complete North Carolina Workers’ Compensation Medical Fee Schedule in electronic format, telephone Ingenix, Inc. at (800) INGENIX (464-3649), option 1, or go to http://www.shopingenix.com/ to order a CPT® code book online. Businesses covered by the Workers’ Compensation Act are required by law to obtain insurance or qualify as self-insureds for possible compensation liability to their employees. All businesses employing three (3) or more employees on a regular basis are covered, except that agricultural employments with fewer than ten (10) regular employees, certain sawmill and logging operators, and all domestic employees are exempt. Businesses with any employee whose work involves the use of or presence of radiation are required to have coverage. Corporate officers, partners, and owners who are employed in the business may be exempted from coverage. However, corporate officer/employees are counted in determining whether the business has three or more employees. Sole proprietors and partnerships who have three (3) or more employees must purchase coverage for these employees and may elect to include coverage for themselves. If you are subject to the Act, you are required to carry workers’ compensation insurance. To obtain workers’ compensation insurance, contact your insurance agent about your coverage needs and the types of coverage available to you. An insurance agent can write coverage solely for your business. You can become a member of or contributor to a Self-Insured Fund. A Self-Insured Fund is a “blanket coverage” of workers’ compensation insurance in which you pay into a large fund which provides the coverage for your business and all those who pay into that fund. Your contribution to the fund is based on your number of employees, the rate assigned to them by the North Carolina Rate Bureau, and your payroll. EXAMPLE: You are a General Contractor who is subject to the Act. A Builders Association offers a Self-Insured Fund program. You become a member of the Builders Association and thus pay into their fund for coverage on your business. You can become Self-Insured. To become Self-Insured, you must go to the Department of Insurance and post bond showing that you have the financial means to provide coverage for your employees. NOTE: There is a difference between being Self-Insured and being part of a Self-Insured Fund. Many people mistakenly think they are Self-Insured but actually have coverage through a Self-Insured Fund. Businesses complying with the Act and their employees may not be sued in the Courts by employees for work-related injuries, except for intentional assaults and conditions so grossly unsafe as to make injury substantially certain. Businesses may obtain the benefits and protections of the Workers’ Compensation Act by purchasing compensation insurance, by being self-insured, or by joining a self-insurance fund. To obtain benefits, an employee or his representative must give the employer written notice of the accident within 30 days, or in instances of occupational disease (excepting asbestosis, silicosis, or lead poisoning) within 30 days of being advised by competent medical authority that the employee has the occupational disease, unless reasonable excuse is made for not giving notice and no prejudice results to the employer/carrier. NOTICE should be given by providing a completed copy of the Commission’s Form 18 to the employer and the Commission. SUBJECT TO CERTAIN EXCEPTIONS, AN EMPLOYEE LOSES THE RIGHT TO CLAIM COMPENSATION UNLESS A CLAIM IS FILED WITH THE COMMISSION WITHIN TWO (2) YEARS AFTER THE ACCIDENT, OR IN CASES OF AN OCCUPATIONAL DISEASE, WITHIN TWO (2) YEARS AFTER DEATH, DISABILITY, OR DISABLEMENT AND BEING ADVISED BY COMPETENT MEDICAL AUTHORITY THAT THE EMPLOYEE HAS AN OCCUPATIONALLY RELATED DISEASE, whichever last occurs; provided, that if the injury is due to exposure to radiation, the two (2) year period runs from the time the employee suffered incapacity and knew or should have known that the disease or condition was caused by his employment. A CLAIM should be filed by sending to the Commission a statement of claim, preferably on the Commission’s Form 18. COPIES should be sent to the employer or its insurance carrier. Claimants using informal statements will be asked to complete forms requiring information necessary to process the case. All work-related injuries requiring medical attention (other than first aid at the work place) should be reported by the employer to its insurance company or administrator, who will report the injury to the Industrial Commission on I.C. 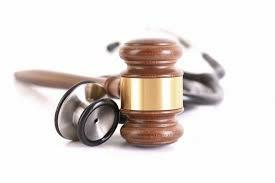 Form 19 if the injury results in more than $2000.00 in medical expenses or more than one day’s lost time from work. A COPY OF THE COMPLETED FORM 19, WITH “IMPORTANT INFORMATION FOR EMPLOYEE” ON THE BACK, MUST BE FURNISHED TO THE EMPLOYEE OR HIS OR HER SURVIVORS. In addition, the employer is required to provide a blank Form 18 for use by the employee with the copy of the Form 19. Temporary Total Disability: If the employee remains unable to earn wages after the first seven (7) days of disability, the employee is entitled to weekly benefits equal to two-thirds (2/3) of his or her average weekly wage up to the maximum compensation rate. After disability has continued more than twenty-one (21) days, the employee is entitled to receive compensation for the first seven days of disability. The days counted do not have to be consecutive. Weekend days, holidays, and any workday in which the injured employee does not earn a full day’s wages because of the injury are counted as a day of disability, even though the employee may earn some wages. Temporary Partial Disability: If upon obtaining post-injury employment, if employee is unable to earn wages as great as those earned pre-injury, the employee is entitled to compensation equal to two-thirds (2/3) of the difference between the post-injury and pre-injury average weekly wages, so long as the amount does not exceed the statutory maximum weekly benefit. Temporary partial disability benefits may not continue beyond three hundred (300) weeks from the date of injury, and any number of weeks wherein temporary total disability benefits were paid will be deducted from the 300 week maximum. Permanent Partial Disability: If, at the end of the healing period, there is a permanent impairment to one of the parts of the body listed below, the employee may receive a set period of benefits without regard to his ability to earn wages. Total loss of use of the part entitles the employee to two-thirds (2/3) of his average weekly wage, times the number of weeks shown following the body part below. Benefits for less than total loss are figured on a percentage basis. For example, twenty percent (20%) of 45 weeks’ compensation is nine (9) weeks. Alternatively, in cases where the employee has a permanent impairment to one of the parts of the body listed below and is unable to earn wages as great as before the injury, the employee may choose the greater benefit of (a) benefits for two-thirds (2/3) of the wage difference for a period not to exceed 300 weeks from the date of injury or (b) benefits for a set period based on the permanent impairment. The 300-week period, however, will be reduced by the number of weeks Temporary Total Disability compensation was paid. The percentage of disability is determined based on physicians’ ratings of the percentage of physical impairment. If there is a dispute between physicians regarding ratings, the Commission will determine the percentage of disability. If either party is dissatisfied with the treating physician’s rating, it may obtain the “second opinion” of another doctor. The employee, upon approval by the Commission, is entitled to a single second opinion rating by a doctor of his or her choice at the employer’s expense. To obtain the Commission’s Rating Guide, see “Bulletins and Forms” above. If, however, the employee is unable to earn any wages in any employment, the employee may discuss ongoing disability benefits with the employer or its insurance carrier; or, if there is a disputed issue, the employee may file a Form 33 to request a hearing. Total and Permanent Disability: The loss of both hands, both arms, both feet, both legs, or both eyes, or any two thereof, constitutes total and permanent disability, and entitles the worker to weekly benefits and medical compensation during his or her lifetime. Disfigurement and Damage to Other Organs: If the injury leaves facial or head scars that seriously disfigure the person, or causes the loss or permanent injury to an important organ of the body, the employee may be awarded additional compensation not to exceed $20,000.00. The maximum payable for serious bodily disfigurement is $10,000.00. No compensation is allowed for scars where the employee is paid for loss or partial loss of use of the same member. The employee is also entitled to payment for disfigurement due to the loss or crowning of permanent teeth. Employers must provide, and injured employees must accept, all reasonable medical, surgical, hospital, nursing, and rehabilitative services, and medicines, sick travel, and other treatment, including medical and surgical supplies, as may reasonably be required to effect a cure or give relief, and tend to lessen the period of disability, and any artificial members as may reasonably be necessary at the end of the healing period, which are needed due to the compensable injury. The costs of medical compensation are in addition to the disability benefits discussed in the preceding section, and do not offset or reduce them. If the employer denies liability or fails to provide treatment, or in the case of an emergency, the employee may select the physician or hospital but must promptly request Industrial Commission approval. * The employer or its insurance carrier may select the treating physician and other providers of medical compensation, subject to contrary orders of the Commission. If the employee is dissatisfied with the services rendered by providers selected by the employer, the employee may request the Commission order a change of treatment, or approve treatment by providers of employee’s selection. * Such request should state reasonable cause and be submitted with any medical opinions or records that support the request, and a copy of the request should be simultaneously sent to the employer or its insurance company. If an employee fails to cooperate with a provider selected by the employer after being ordered to do so by the Commission, compensation may be suspended while such refusal continues. The right to medical compensation ends two years after the last payment of medical or indemnity compensation unless, prior to the expiration of this period, a Form 18M application is filed by the employee showing the substantial risk of the necessity of future medical treatment, and is thereafter approved by the Commission. As a final note, rules governing rehabilitative services in workers’ compensation cases have been adopted and may be obtained through the Industrial Commission if needed. *Requests for Industrial Commission approval must be made in writing and should be directed to the Executive Secretary’s Office, 4333 Mail Service Center, Raleigh, NC 27699-4333. No time limitation under the Workers’ Compensation Act runs against a minor or incompetent until a guardian or trustee has been appointed to represent their interests or the minor reaches legal age. The Commission may appoint a guardian ad litem, for the purpose of pursuing the claim on behalf of the minor in litigation before the Commission. However, a guardian ad litem may not receive cash compensation on behalf of a minor or incompetent. Compensation may be received by natural guardian (a parent with whom the child lives), a general guardian, or guardian of the estate of a minor or incompetent appointed by the Clerk of Superior Court of the county in which the employee resides; by the trustee or committee having powers over the employee’s financial affairs; by the Clerk, if small sums are due an incompetent; and, when both a surviving spouse and minor children are entitled to receive compensation due to the death or injury of a deceased employee, the surviving spouse may receive the compensation for the use of both himself/herself and the minor children. In certain circumstances, a minor employee may sign agreements and receipts for payments of compensation although the Commission may require the signature of a parent or person standing in place of a parent. An employee who submits a written claim (I.C. Form 18, or its equivalent), in a case where no compensation has been initiated by the employer to the employee, is entitled to a detailed statement from the employer or insurance carrier of grounds for denying the claim within 14 days of receipt, unless time is extended by the Commission’s Executive Secretary’s Office. The employee desiring a hearing on the claim before the Industrial Commission should make the request on the I.C. Form 33. A statement making a claim or requesting a hearing must be received by the Commission within two years of the date of injury to preserve the employee’s right to pursue the claim. If the claim or request for hearing is not made on the Commission’s official forms (Form 18, Form 33R, or Form 33, respectively), claimant will be asked to complete those forms. A Form 21, Agreement for Temporary Total Disability or Temporary Partial Disability, should state that the compensation is payable for the “necessary” period unless for some reason the period of temporary total disability or temporary partial disability is actually known (such as when it has already ended). The agreement may be submitted subject to future correction of the compensation rate used. Unless the employee successfully returns to work, dies, or enters into another agreement, the employer or carrier must apply to the Commission to terminate the compensation on the Commission’s Form 24 or request a hearing once the Form 21 has been approved. A Form 21 or 26 agreement may be entered into after the end of the healing period to provide for payment of temporary partial disability benefits or permanent partial disability benefits based upon a doctor’s evaluation, or “rating,” of any remaining physical impairment. The employee is entitled to a single second opinion by a physician of his or her choice at the employer or carrier’s expense when the physician approved by the employer or carrier has rated and/or released the employee. The employee retains the right to reopen the case for further benefits within two years of the last payment of compensation if the employee can show that there has been a substantial change in the condition that resulted from the compensable injury. It is unlawful for any attorney or other person to accept a fee, gift, or any remuneration for any services rendered in connection with the claim of a worker seeking compensation unless such fee or other consideration has been approved by the Industrial Commission. Subject to the provisions of N.C. Gen. Stat. §97-25.3, Preauthorization, the Industrial Commission shall adopt and publish a Fee Schedule, pursuant to the provisions of N.C. Gen. Stat. §97-26(a), fixing maximum fees, except for hospital fees pursuant to N.C. Gen. Stat. §97-26(b), which may be charged for medical, surgical, nursing, dental, and rehabilitative services, and medicines, sick travel, and other treatment, including medical and surgical supplies, original artificial members as may reasonably be necessary at the end of the healing period and the replacement of such artificial members when reasonably necessitated by ordinary use or medical circumstances. The fees prescribed in the applicable published Fee Schedule shall govern and apply in all cases. However, in special hardship cases where sufficient reason is demonstrated to the Industrial Commission, fees in excess of those so published may be allowed. Persons who disagree with the allowance of such fees in any case may make application for and obtain a full review of the matter before the Industrial Commission as in all other cases provided. Copies of this published Medical Fee Schedule may be obtained by telephoning Ingenix, Inc. at (800) INGENIX (464-3649), option 1, or going to http://www.shopingenix.com/ and ordering a CPT® code book online. A provider of medical compensation shall submit its statement for services within seventy-five (75) days of the rendition of the service; or, if treatment is longer, within thirty (30) days after the end of the month during which multiple treatments were provided; or within such other reasonable period of time as allowed by the Industrial Commission. However, in cases where liability is initially denied but subsequently admitted or determined by the Industrial Commission, the time for submission of medical bills shall run from the time the health care provider received notice of the admission or determination of liability. Within thirty (30) days of the receipt of the statement, the employer, or carrier, or managed care organization, or administrator on its behalf, shall pay or submit the statement to the Industrial Commission for approval or send the provider written objections to the statement. If an employer, carrier/administrator, or managed care organization disputes a portion of the provider’s bill, it shall pay the uncontested portion of the bill and shall resolve disputes regarding the balance of the charges through its contractual arrangement or through the Industrial Commission. If any bill for medical compensation services is not paid within sixty (60) days after it has been approved by the Industrial Commission and returned to the responsible party, or when the employee is receiving treatment through a managed care organization, within sixty (60) days after the bill has been properly submitted to an insurer or managed care organization, there shall be added to such unpaid bill an amount equal to ten percent (10%), which shall be paid at the same time as, but in addition to, such bill, unless late payment is excused by the Industrial Commission. When the ten percent (10%) addition to the bill is contested, any party may request a hearing by the Industrial Commission pursuant to N.C. Gen. Stat. §§97-83 and 97-84. 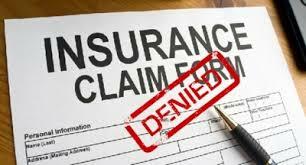 A health care provider may not pursue a private claim against an employee for all or part of the costs of medical treatment that have been provided to that employee unless (1) the employee’s claim for treatment is finally adjudicated to be non-compensable or (2) the employee fails to request a hearing following a denial of liability by the employer. Subsequent to an unanswered denial of liability or an adjudication that the treatment is non-compensable, the insurer (or self-insured employer) is liable to any medical care providers whose services had previously been authorized by the insurer or employer. 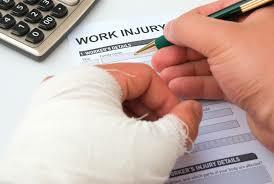 Employee should file a claim (Form 18 or 18B) within two years of the accident with the Industrial Commission. If employees travel 20 miles or more round trip for medical treatment in workers’ compensation cases, they are entitled to collect for mileage at the rate of 25 cents a mile for travel prior to June 1, 2000; 31 cents a mile for travel between June 1, 2000 and January 17, 2006; 44.5 cents a mile for travel between January 18 and December 31, 2006; 48.5 cents a mile for travel between January 1 and December 31, 2007; 50.5 cents a mile for travel between January 1 and June 30, 2008; 55 cents a mile for travel between January 1 and December 31, 2009; and 50 cents a mile for travel on or after January 1, 2010. Special consideration will be given to employees who are totally disabled. 66 2/3% of the average weekly wage, not to exceed $834.00* (2010 maximum) per week. 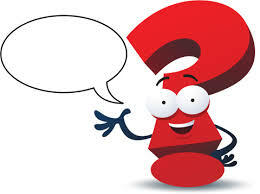 THIS BULLETIN IS NOT INTENDED TO ANSWER ALL QUESTIONS REGARDING WORKERS’ COMPENSATION OR ALL PROBLEMS ARISING UNDER THE WORKERS’ COMPENSATION ACT. Need Workers’ Compensation Information? Need Help with a Claim? Workers’ Compensation Information Specialists assist unrepresented claimants, employers, and other parties to enable them to protect their rights. In addition, the Workers’ Compensation Information Specialists serve as the information source for the North Carolina Industrial Commission and answer questions pertaining to all aspects of workers’ compensation.